A lot of people love to dress very festive during the holidays and that usually includes the very famous ugly Christmas sweater. Just in case you wondered where this trend came from, here is a bit of history of the ugly Christmas sweater…. Bill Cosby was a modern-day pioneer of the trend and is known as an ugly sweater icon. As Cliff Huxtable on his 80’s sitcom, the family man’s uniform of choice was a woolly pullover with questionable colour mixing and patterns. Thanks to Cosby, as well as Chevy Chase in National Lampoon’s Christmas Vacation, the ugly Christmas sweater was born. UGLIEST, most obnoxious ugly sweater ever. There are so many ways that people create these sweaters. 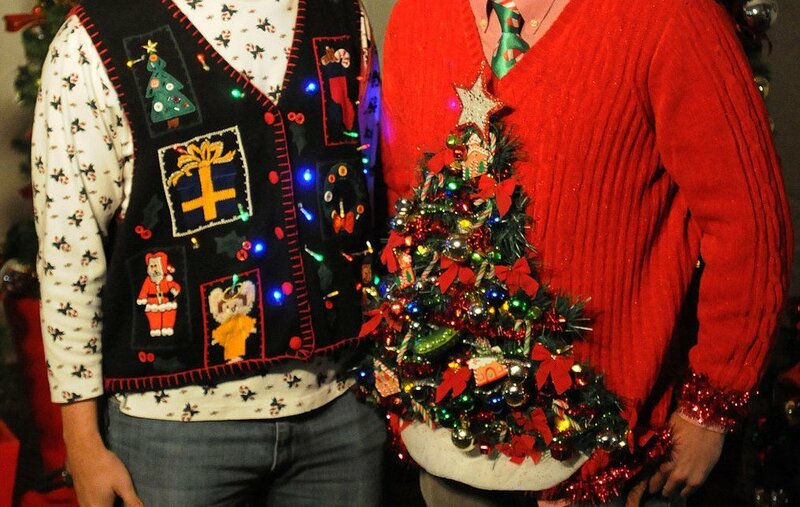 So below as inspiration, we have attached some great ideas for your ‘ugliest’ sweater.